52 Ancestors, No. 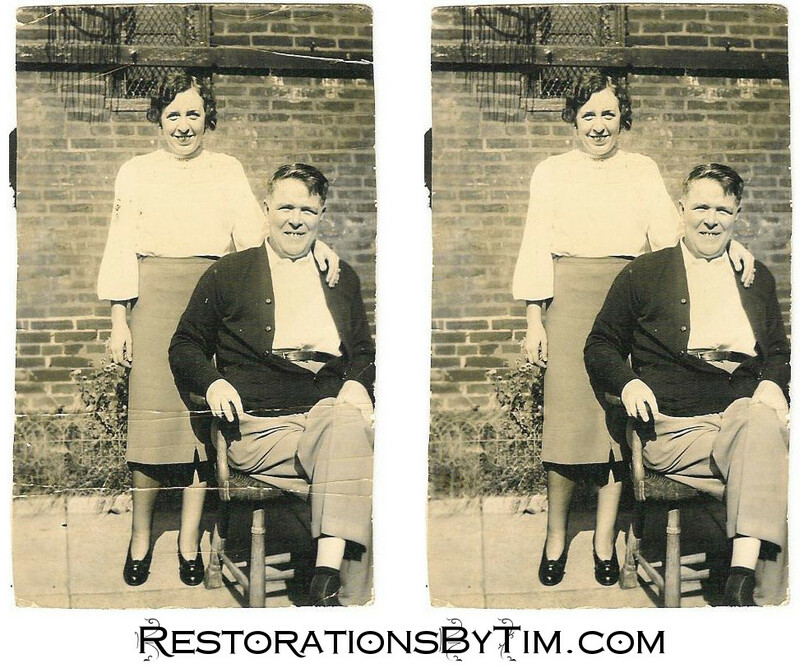 7: Joseph A. Graham, Sr., Hotel Steward and Union Organizer | Photo Restorations by Tim G.
Joseph appears here, in the middle of the August, 1901, birth return of Dr. Isaac McBride, M. D. That is his birthday, August 6, 1901, and those are his parents, John and Anna J. McShane, but the child’s name was written as John Graham, and not Joseph Graham as I expected. I know that a lot of folks out there have adopted the convention that a person’s “real” name was whatever appeared, in ink, on his or her birth record, and that any other name must therefore have been some sort diminutive flimfammery. Well, I don’t really abide by that. The man’s name was Joseph. He was widely known and commonly referred to as Joseph. I have never heard anyone who knew him refer to him by any name other than Joseph. So I’m sticking with Joseph, for his name—his real name. John will be some other name for him, as far as my research is concerned, and I am very curious as to how that name came to appear on this document. The good doctor may have simply and absentmindedly wrote the name of Joseph’s father, instead of the name of the child. Or, the doctor might have written that name purposefully and correctly. Who can know? Are you sure it isn’t John, again? 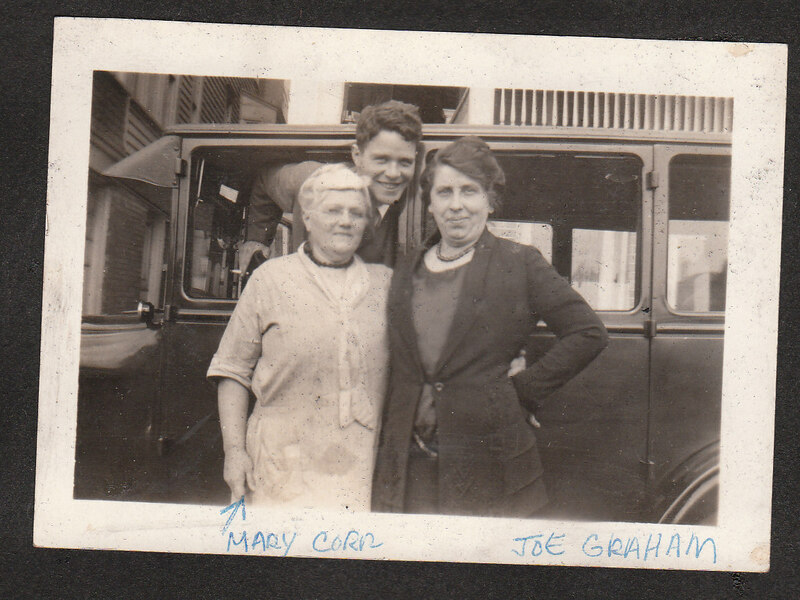 Joesph’s father, the real John Graham arrived in this country from Ireland in 1891. 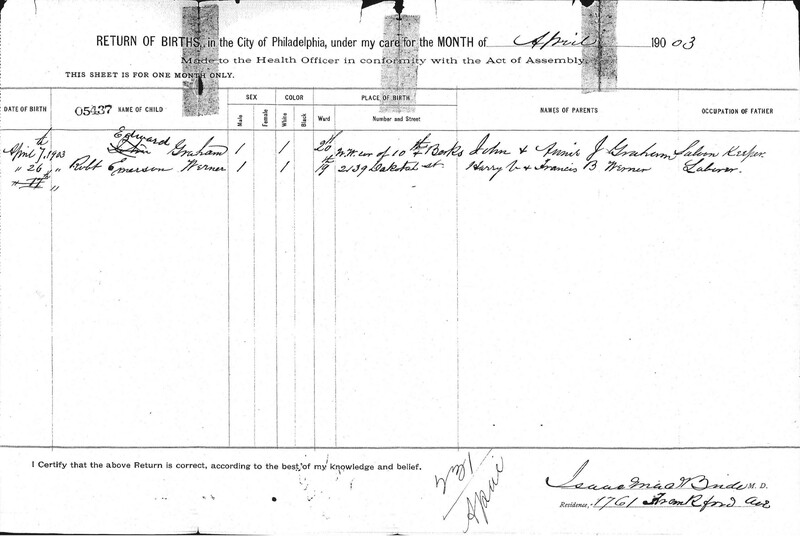 Joseph’s mother, the former Anne J. McShane was a second-generation Irish American, born and raised in Philadelphia. The two had eight children in all, two girls and six boys. Joseph was the fourth of the eight. He married my great-grandmother, Julia M. Corr, the daughter of a prominent wool and carpet businessman, on April 10, 1928. We actually have video footage of the two on their honeymoon cruise. Perhaps by the time I get around writing an entry for Julia, I will have made a edit of that video suitable for posting. The two had six children of their own, though only five would survive into adulthood. When reviewing the occupations of the earlier Graham immigrants, two appeared more often than any others: saloon keepers, and clergy. Joseph’s father, John Graham, was a saloon keeper, as were a couple of Joseph’s uncles. Two of Joseph’s brothers were priests, and his older sister Reverend Mother Mary Bernard Graham, R. S. M., of the Order of the Sisters of Mercy, and founding president of Gwynedd-Mercy Junior College. 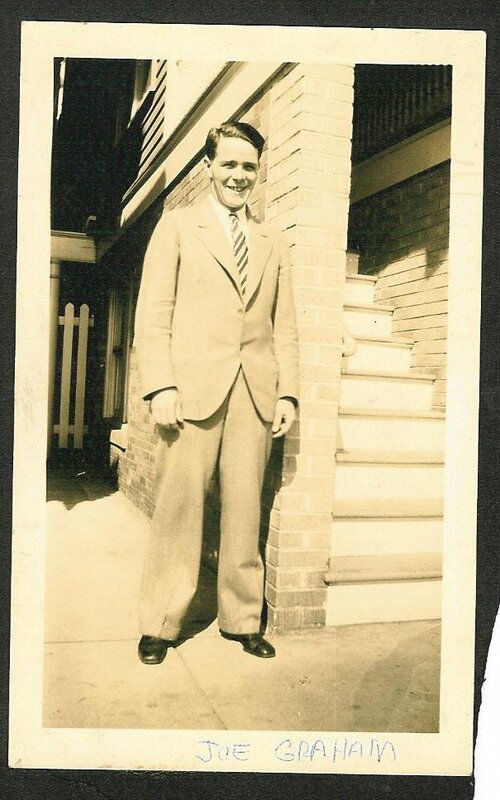 Joseph went the hospitality route, and worked as a hotel employee and steward in various establishments, both in Philadelphia and in Atlantic City, where the family kept a summer home. If Joseph’s obituary is to be a guide, he was best known for his work at the Broadwood Hotel in Philadelphia, which was named for its location, the corner of Broad Street and Wood Streets The Philadelphia Architects and Buildings web site hosts several images of the hotel in its heyday. It looks like a fine establishment to me, although the Philadelphia Inquirer wrote a less than glowing retrospective of it upon the building’s demolition in 1991. 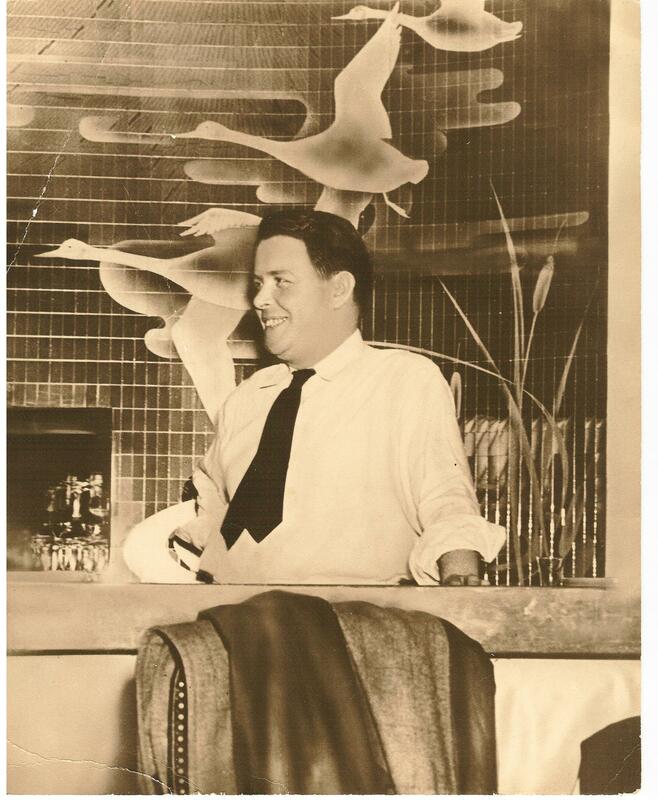 Aside from the work he did keeping up the hotels, Joseph was a founding member and secretary of Hotel Employees and Restaurant Employees Union (HERE), Local 568, of the American Federation of Labor. I do not yet know the details of this, but they are bound to be interesting. 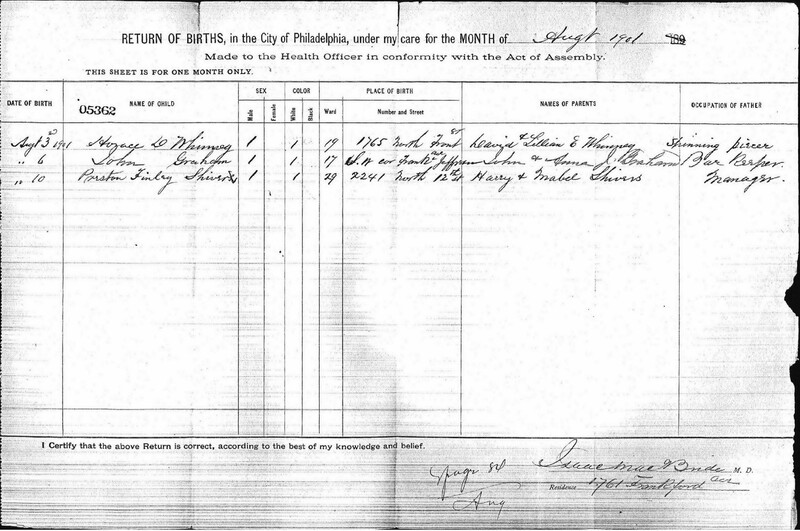 Perhaps a historian of Philadelphia labor movements can lead me to more details. I know from Googling that HERE merged with Union of Needletrades, Industrial, and Textile Employees (UNITE) in 2004 to form UNITE HERE, which is a welcoming and fitting acronym, I must say. I’m very interested to know more about Joseph’s organizational efforts, whether he had a hand in negotiating any groundbreaking contracts, or organizing any historic strikes or other actions. He looked to have the energy for it. Maybe someone at UNITE HERE might know a guy who knows a guy who knows where to look. Joseph’s energy would soon dissipate, however, and then it would suddenly disappear forever. The photo of Joseph that I fixed up above was of him in his later years, sitting beside his wife, Julia. He had lost his youthful stature by then, but not his mischievous grin. The photo is a low-resolution scan that received from a cousin via e-mail. Since I don’t really have any famously ruined pictures of Joseph, I just touched up the light creases toward the bottom of this one. Joseph was gone not too long after he appeared this picture. He died at home on January 11, 1948, at the age of 46. I’ll be honest and say that I really don’t know the cause of his death for sure. The reason I don’t know this is that I did much of the research on my more recent ancestors right at the beginning of my genealogical journey, back before I developed my current research standards. My grandfather probably told me what happened a bit ago, but it seems I haven’t written it down in the usual space. Let this be a lesson and a teaching moment: It may be worth while, after you’ve fine-tuned your research and organizational skills, to go back over your early work and straighten it all out. 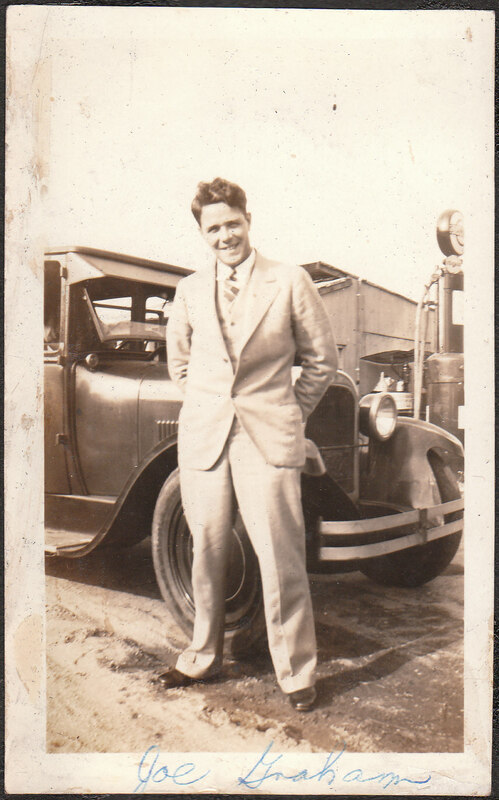 Many thanks to my grandfather, Joseph, Jr., my great Aunt Eileen and my dad’s cousin, Andee, for supplying the photos and biographical information. The birth returns came from the Philadelphia City Archive, and some addition information is from Joseph Graham’s obituary, from the Philadelphia Inquirer, January 13, 1948, page 12. UPDATE, 4/22/2014: I did speak once again to my grandfather, who reminded me of the cause of his father’s death. He named cardiorenal syndrome as the official cause. He told me that his father had always suffered from blood pressure problems, and that had his father suffered from his illness today, there would have been a plethora of medications available to help him. As it was, Joseph A. Graham, Sr., suffered a series of strokes during the summer of 1947, and was ill in bed for several months preceding his death. He suffered another stroke in January of 1948 that was the death of him. Enjoying your “52 Ancestors” blog each week, Tim. My mother Sheila A. 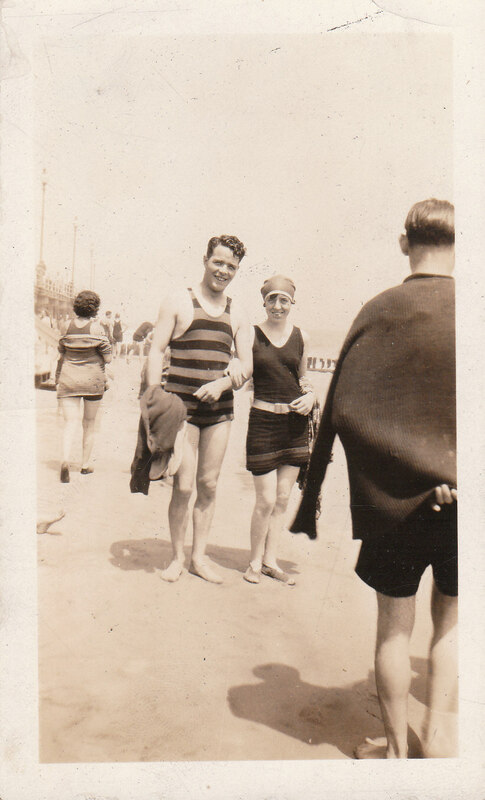 (Graham) Cunningham told me the last photo on this page of her father Joseph A. Graham Sr. was taken at the Walnut Park Plaza at 63rd & Walnut St. in Philly. He also bartended events at the Ritz Carlton, Bellevue Stratford and Hotel Philadelphia. Looking forward to reading more about the Grahams and the Corrs.